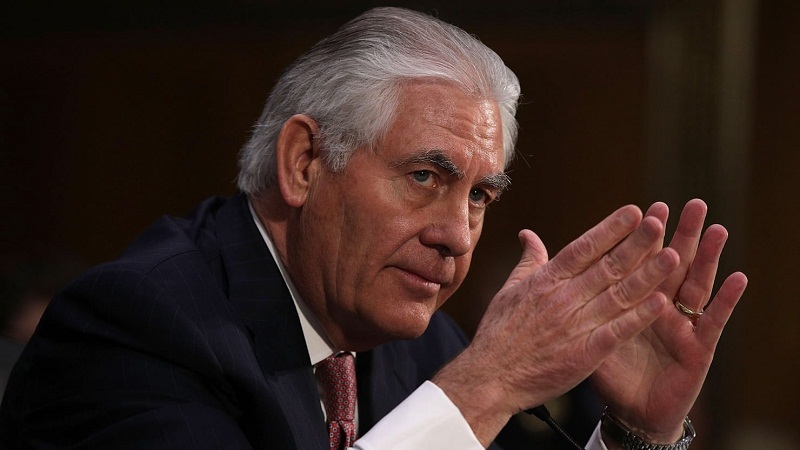 Secretary of State Rex Tillerson said on Wednesday he had never considered resigning from his post, saying he was as committed to President Donald Trump's agenda as much today as he was when he first came into office. "I have never considered leaving this post," Tillerson said at the State Department. "I am here for as long as the president feels I can be useful to achieving his objectives." Tillerson spoke after NBC News reported that Vice President Mike Pence and other top officials intervened to persuade him not to resign during the summer as tensions rose between Trump and his top diplomat. Trump appeared to undercut Tillerson over the weekend when he tweeted that he told Tillerson that he was "wasting his time" trying to negotiate with North Korean leader Kim Jong Un over Pyongyang's nuclear and missile programs.